Heat the olive oil in a large saucepan. Add the onion and garlic and sauté on medium heat until soft and translucent. Add the ground beef and cook, stirring frequently, until it is browned and cooked through. Add the zucchini and tomatoes and stir to combine. Reduce the heat to a simmer. Simmer uncovered for 10 minutes. In a large pot, add cauliflower to boiling water. Boil the cauliflower until soft, about 8-10 minutes. Drain the cauliflower, allowing all steam to escape. Dry cauliflower will help make a creamier mash. Transfer the drained cauliflower to a food processor. Add the butter, cream, shredded cheese, salt, and pepper. Process until smooth. 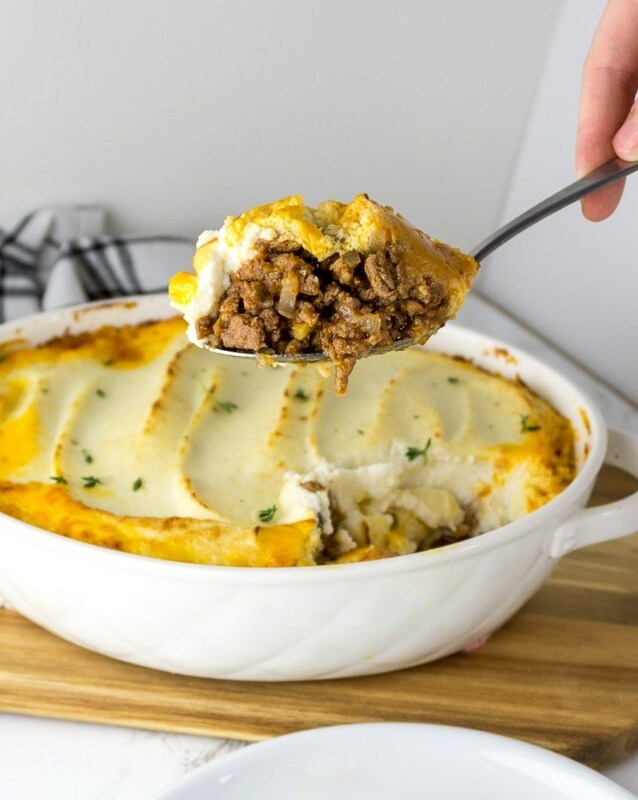 Place the ground beef mixture in the bottom of a large casserole dish. Top with the mashed cauliflower.